5'1 is the new 6'2: LUSH & BOOTS Haul! Well after my more serious post yesterday on Bullying (If you haven't read it please do it's a touching subject) I thought I'd lighten all our spirits a bit tell you all I've braved the constant snow and cold and to make myself feel better about all of that I've have had a Boots and Lush Haul - Yayy! Umberto Giannini: Backcomb Hair styling kit. No7: Essentially Natural Foundation. & Beautiful Skin Quick Thinking Wipes. 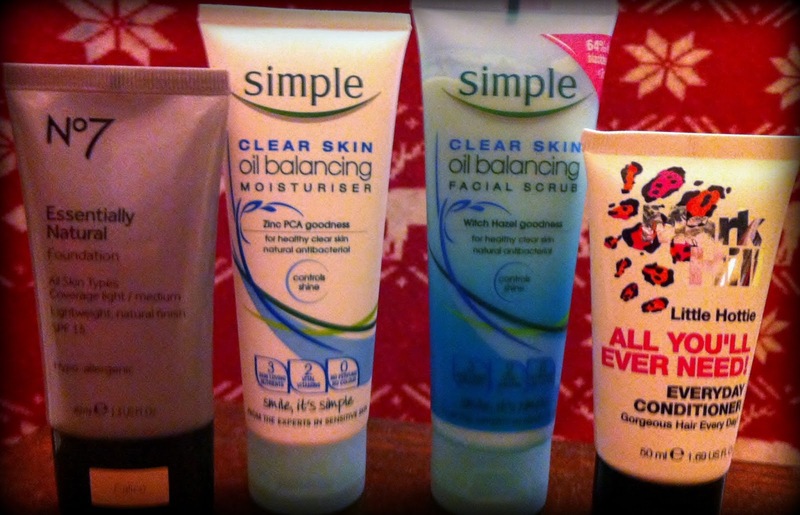 Simple: Clear Skin Oil Balancing Moisturiser & Clear skin Oil Balancing Facial Scrub. Mark Hill: Little Hottie Conditioner. Lush: Midnight massage Bar & Rocket Bubble Bar. Well that's my lovely little haul from two of my favourite shops! I'd been feeling down lately as this horrible snow and cold weather had been making my skin dry and flaky and my current moisturiser wasn't intense enough to settle the flakiness and my foundation, though fantastic and the right colour was absolutely NO help - so I needed a winter Holy Grail for my face - The rest was all a bit of a bonus to make me feel better after such things like in my last post -so a bit of TLC which includes my favey things was needed! No7: Essentially Natural Foundation - My Boujours 123 is fabulous, but is a medium heaviness, meaning when my skin get's dry and flaky it does me NO justice. I explained this to the woman in the store and she used the nifty little device that pairs you with your perfect shade then gave me one that would be light and nice coverage. Le Voila I got this beauty and it feels amazing on - may I have found my Foundation Holy Grail? No.7: Beautiful Skin Quick Thinking Wipes - These were like a repurchase for me as they're simply fabulous! They remove waterproof mascara, good for sensitive skin and make you feel refreshed and hydrated when used - plus I got them for £2 when they should've been £7 - Bargain! Simple: Clear Skin Oil Balancing Moisturiser - My current moisturiser wasn't up to the challenge of my combination skin and wasn't supplying it with enough oil to help the dryness and wasn't balancing the oil to keep it from going greasy - as it was completely oil-free. So I thought I'd move on from Teenage moisturiser to something to accommodate my aging skin which this seems to be doing the job! Mark Hill: Little Hottie Conditioner - This was a genuine random buy to try and mix up my hair care routine to see if it'll help along with my solid shampoo from Lush! This has been a lovely lil buy so far, I may just repurchase it in full! From Left: Model's Own: Blizard & Indian Ocean. 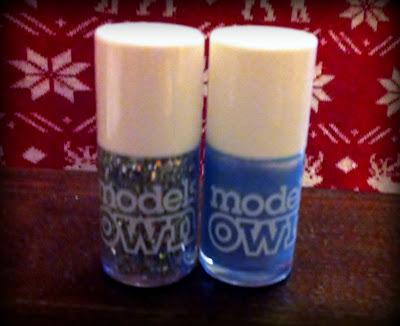 Models Own: Indian Ocean & Blizzard - Yes, MORE nail polish! I'm addicted, but I was after a new chunky glitter then the Indian Ocean just said 'buy me' - I couldn't say no! I will feature these in a NOTD or just a lil Models Own blog post or video of it's own as well it's a très fabuleux brand! Midnight Massage Bar- This is just fabulous! It smells just about edible and makes my skin feel amazing! I've fallen in love with it - it's a shame it was limited edition. Rocket Bubble Bar - I stand corrected from saying the wand was my favey - This may stand at top spot from now on - It makes me excited for Valentines day bubbly bars eeek! I'll just set the record straight now with the Lush items I got them in the 'Happy Hour Sale' so they may no be available - but if you can get your hands on them - Go for it!!! 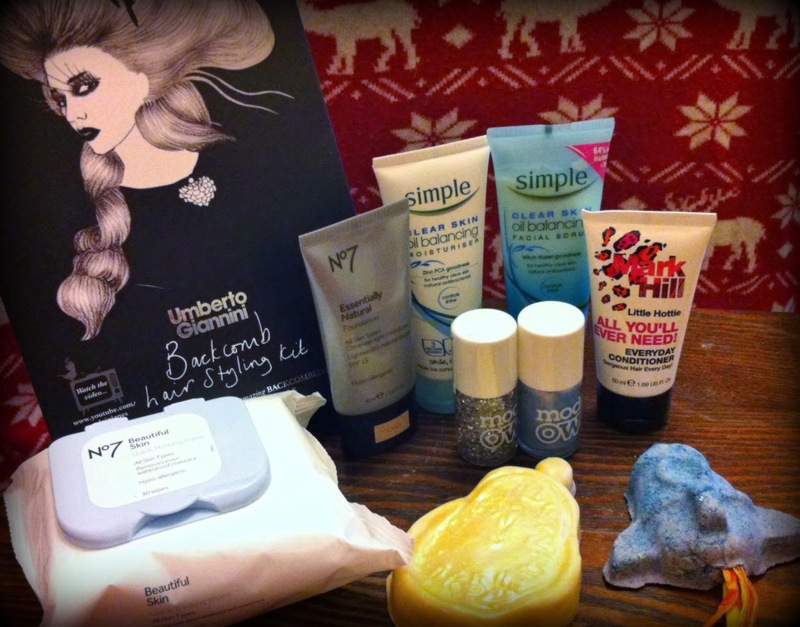 I've loved my little therapeutic haul and can't wait to discover what else catches my eye -especially with Lush as there is some amazing new products appearing for the upcoming seasons - Willow Pattern Soap anyone? So that's my haul and what I've thought of the items, which I'm quite chuffed about as I have no negative thoughts (so far) so yaay! Have you had any good hauls lately? 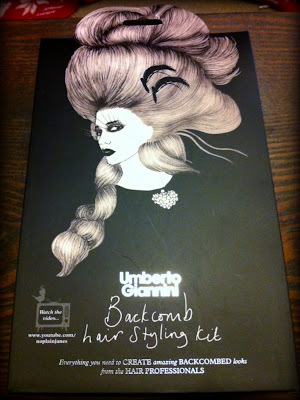 The Umberto Gianni kit looks interesting, you'll have to let us know if it's worth purchasing or not! 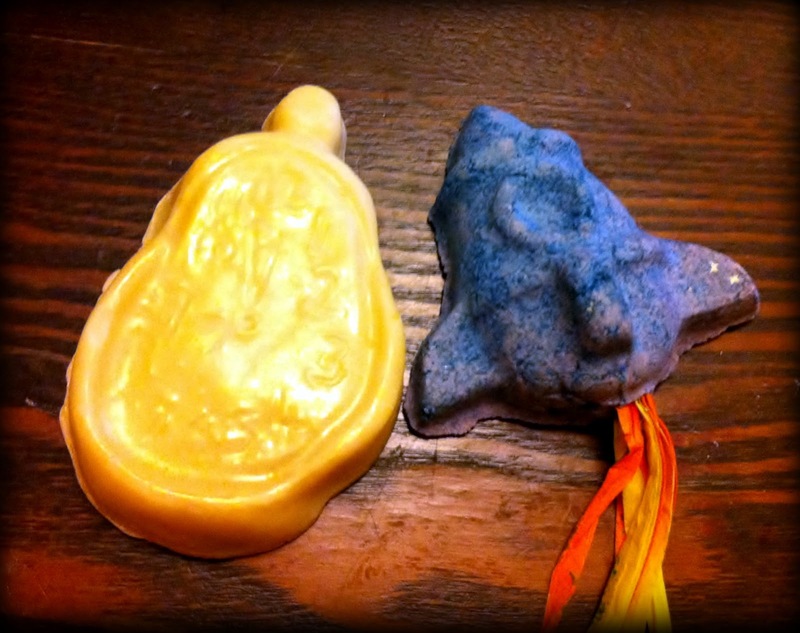 I have both of those Lush products and love them! The bubble bar is amazing and the massage bar is lovely, definitely a shame that they were limited edition. Do you know whether the Umberto Giannini set is on sale everywhere? I really want it! Please do a review of it!